Babesia--or piroplasmosis, also known as babesiosis--is a rare, malaria-like disease. Like Lyme disease--which it closely resembles, and with which it sometimes appears--babesia is transmitted by deer ticks. Symptoms include fever, chills, body aches, nausea and fatigue. Severity can range from episodes so mild that people are unaware of being ill at all, to serious and even life-threatening. If you have babesia, you should be under a doctor's care. Babesia is normally treated with anti-malarial drugs and antibiotics, however, many people turn to natural herbal remedies--such as turmeric--for relief from symptoms. If you are interested in trying turmeric to treat symptoms of babesia, you should first discuss it with your doctor. Visit a health foods store or go online to purchase turmeric, botanically known as curcuma longa. It is usually available in 400-mg capsules. Do not use curry powder as a substitute. According to the Whole Foods website, curry powder doesn't have adequate amounts of curcumin, one of the active ingredients in turmeric. Take 400 mg of turmeric three times a day to help relieve babesia symptoms. Turmeric has powerful anti-inflammatory effects, which may arise from the way it inhibits the formation of a pro-inflammatory substance called arachidonic acid. In addition, turmeric has carminative properties, meaning that it can reduce gas and nausea, as well as anti-bacterial and anti-viral effects. According to the Advanced Health website, turmeric also has antioxidant and hepatoprotective or liver-protecting qualities, which may help to reduce liver damage from antibiotics used to treat babesia. Take 250 mg of bromelain, a digestive enzyme made from pineapples, twice a day to enhance the beneficial effects of turmeric. According to the University of Maryland Medical Center website, bromelain increases the absorption and anti-inflammatory properties of turmeric. Write down your symptoms, including your body temperature and any discomfort in your joints, and the dosage of turmeric you took, as well as any results or effects you may have noticed. This will help you and your doctor evaluate the success of the turmeric treatment. According to the University of Maryland Medical Center website, turmeric is safe when taken at recommended doses. 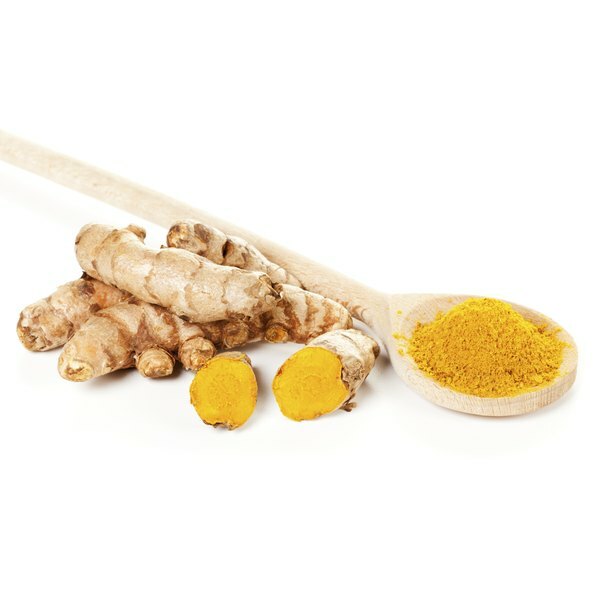 If you have diabetes or gallstones, or are taking blood thinner drugs or drugs that reduce stomach acid, don't take turmeric without consulting your doctor. If you are pregnant or breastfeeding, you should not take turmeric supplements at all.